It has been quite a while since my last post and this post comes late, these pictures were taken at Christmastime and the reason it has taken me so long to post them is that I have returned to school and have been swamped with homework. However, over the course of Spring Break I took the time to edit these pictures so that I could post them. 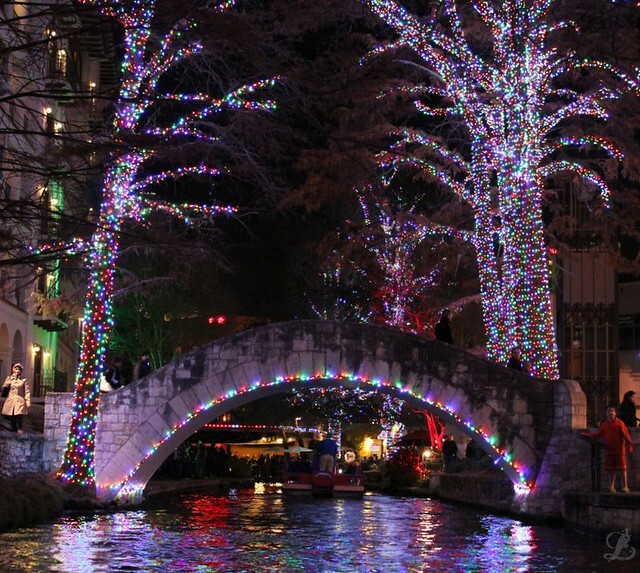 I hope you enjoy the magical beauty of the San Antonio Riverwalk during the holiday season; on our Rio San Antonio Cruise. We began by the bridge that many tourists ask about, if they’ve seen the Selena movie; this is the one that Jennifer Lopez sat on and was kissed by the actor who was playing Chris Perez. There are actually a few of these bridges on the Riverwalk and this is the second one we passed. 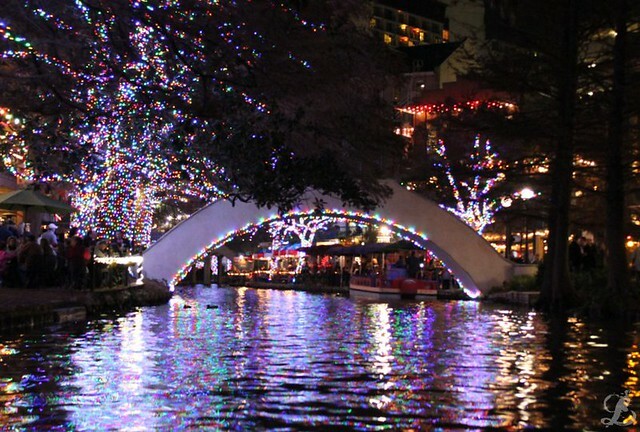 This is the first year that the city converted to LED lights and while I do miss the old lights, the reflections that the new lights cast on the water are amazing. 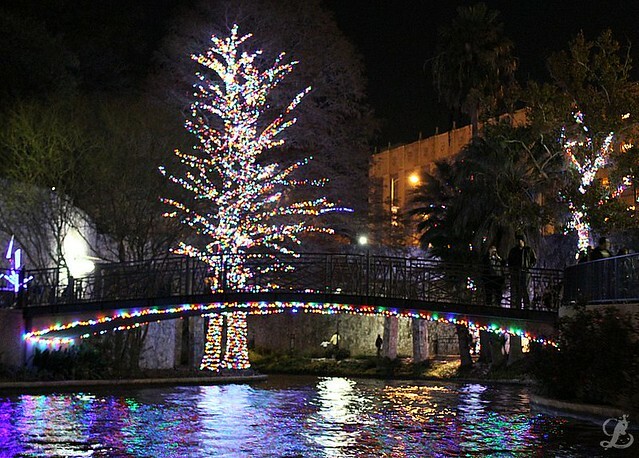 One of the great things about the Riverwalk is that there is no shortage of eating establishments, they have something for everyone’s palate and you can enjoy the beauty of the season while sitting riverside while you dine. 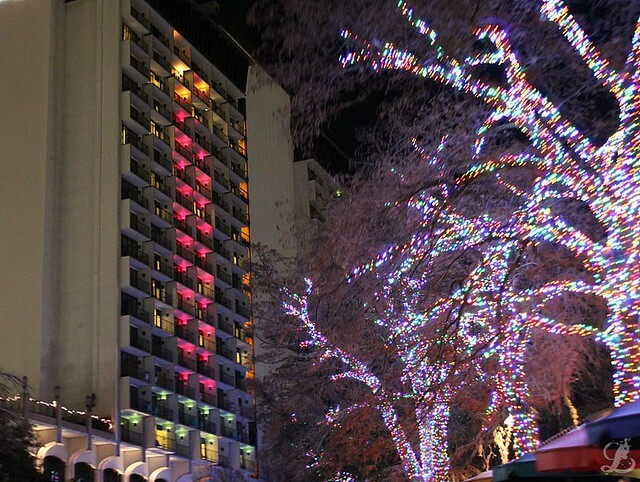 The building on the left is the Hilton Palacio del Rio, it was built for the Hemisphere World’s Fair in 1968 and is a modular building; meaning that each room was built and furnished independently and they were all helicoptered into form the building. The Marriott Riverwalk although a much newer building is just as impressive as it looms over the River and can be seen from several vantage point. This mosaic has been a part of the Riverwalk longer than I have been alive but has been named for Lila Cockrell, one of the city’s longest standing and most beloved Mayors. Most of the trees that are lite and line the river are Bald Cyprus and they are huge, climbing incredibly high into the air. 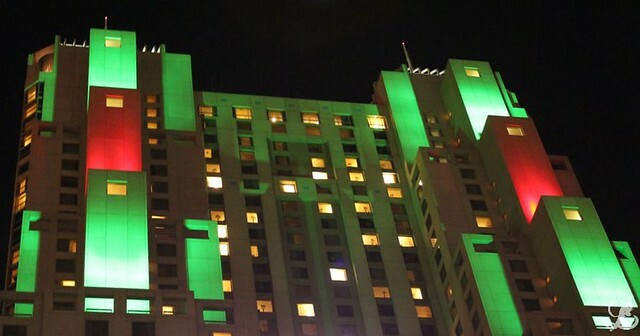 The last picture of this post is of the Marriott again, I loved they way the lite the outside of the building creating blocks of color. 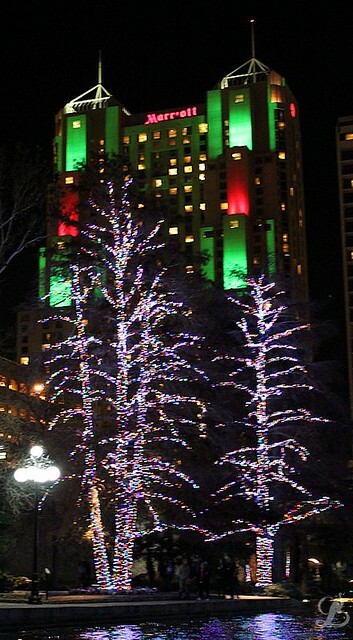 Join me again later this week for more shots of our Winter Wonderland. This entry was posted on March 20, 2012 by LahainaLaura. 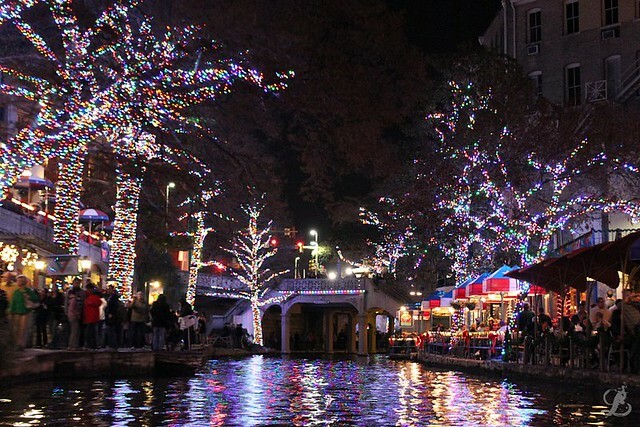 It was filed under San Antonio, The Republic of Texas and was tagged with san antonio riverwalk, travel, vacation.